The Satanic Bible. This is the picture of the worlds most diabolical book of them all, The Satanic Bible written Von the great Docktor "Anton Szandor Lavey", this book is one not for all but one for the select few that chooses to be a leader and not be one of the herd.. Wallpaper and background images in the Anton Szandor LaVey club tagged: the satanic bible. 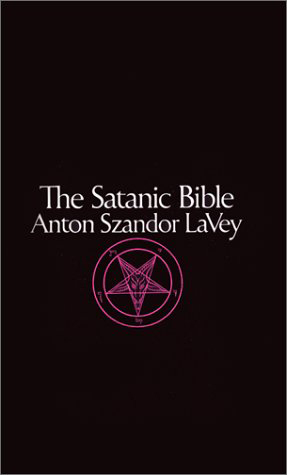 This is the picture of the worlds most diabolical book of them all, The Satanic Bible written Von the great Docktor "Anton Szandor Lavey", this book is one not for all but one for the select few that chooses to be a leader and not be one of the herd. This Anton Szandor LaVey photo might contain zeichen, plakat, text, tafel, schilder, and poster.